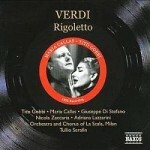 This legendary Rigoletto is musically far from perfect, but I doubt its dramatic power will ever be surpassed. The mono sound is ‘50s fuzzy, the standard cuts are in place (don’t expect to hear “Possente amor”) and the singing is a mixed bag, but Verdi and Piave’s tragedy is brought to gripping, moving life. This is due in no small part to the expert conducting of Tullio Serafin. His interpretation is slower than others, but contains no shortage of elegance or passionate Romanticism, and provides the cast of great singing-actors with all the support they need. 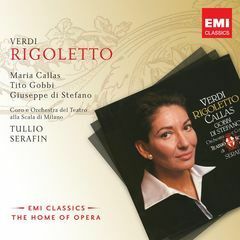 Despite Maria Callas’s picture gracing the cover of nearly every release, the star of this Rigoletto is unquestionably Tito Gobbi in the title role. 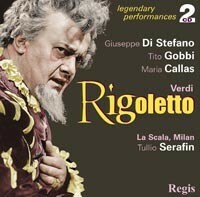 True, his baritone is gruff-edged and sometimes unwieldy in its power, but still it’s a rich, virile and often beautiful instrument. Even more importantly, he offers a characterization for the ages. 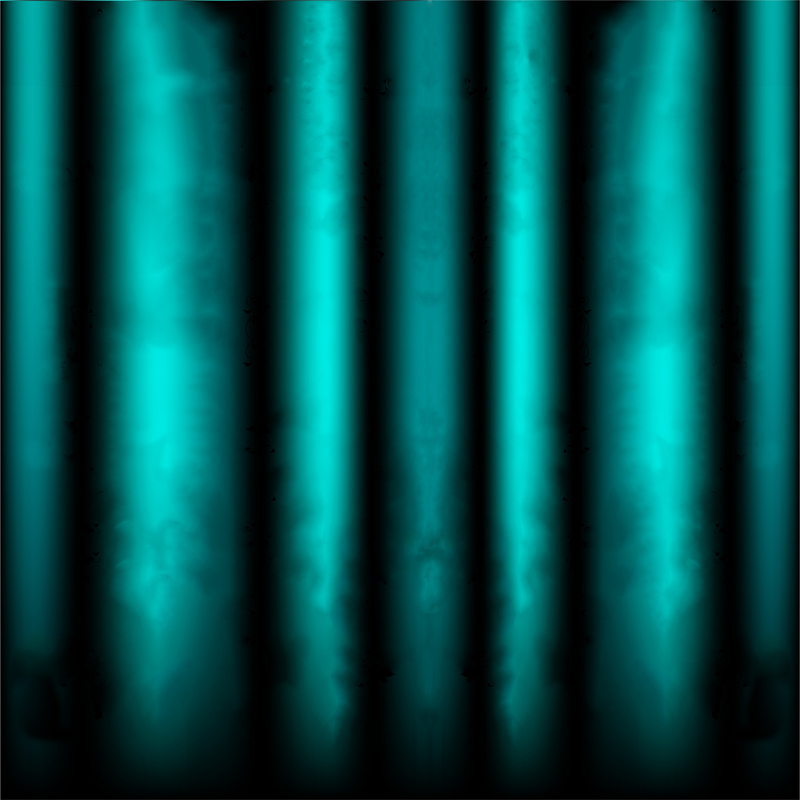 With a thousand vocal nuances, he breathes life and passion into the role’s every layer: the laughing, sneering jester, the gentle, adoring father, and the fierce yet pitiful wounded animal of a man underlying both of the above. 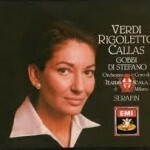 Callas’s Gilda is subdued by comparison, but still guaranteed to enchant her many devotees. 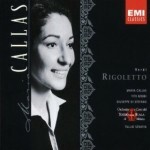 Her timbre is hardly ingénue-like by nature, but with her unique talent for vocal coloring she offers a touching characterization; her tone initially all innocent tenderness, later darkened by grief and passion, and ethereally pale and delicate as she dies. As the Duke, Giuseppe di Stefano may lack elegance in the upper register and light passagework, but is still a believable seducer of women with his lusciously warm, silky tone and consummate vocal acting. 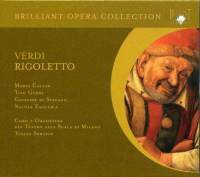 Nicola Zaccaria’s smoothly rumbling Sparafucile, Adriana Lazzarini’s lush-toned Maddalena, Plinio Clabassi’s fearsome Monterone, and the rest of the supporting cast are uniformly solid, but without a doubt this Rigoletto belongs to its three principles and its conductor. 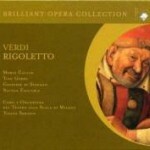 Despite its musical flaws this Rigoletto is worthy of its great reputation and I recommend it wholeheartedly. If you want perfect vocal elegance, look elsewhere, but if it’s chills or tears you want, there may be no choice better than this one.